Mass migration to Chinese cities has likely decreased the total number of premature deaths caused by air pollution. (Inside Science) -- Ever since Chinese leader Deng Xiaoping kick-started the country's economic reform in 1978, hundreds of millions of Chinese citizens have flocked from the countryside into the cities. While China's rapid development has brought its citizens impressive skyscrapers and high-speed rails, it has also created more pollution and larger income inequality. But amidst the dazzling changes, a recent study uncovered a potential side benefit. The migration into cities may have offset some of China's air pollution problem, saving lives that would otherwise have been cut short by poor air quality. Even though people in rural China tend to lead relatively modest lifestyles compared to their urban counterparts, they use far less efficient types of fuel, which greatly enlarges their pollution footprint. "The most abundant biomass fuels used by people in rural China are wood and crop residues," said Huizhong Shen, an environmental scientist from Peking University in Beijing and lead author of the recent paper published in the journal Science Advances. "You'd have to burn roughly three times more biomass fuels to get the same amount of heat [as] from natural gas." According to the paper, particles from burning these biomass fuels dominate air pollution in rural China, especially in the northern regions where a lot of people still use wood stoves to heat their often poorly insulated homes. "In terms of air pollution in China, rural energy transition is very important," said Shen. Since the late 1970s, hundreds of millions of migrant workers -- more than the entire population of the United States -- have moved from the countryside into cities, where relatively cleaner fuels are used. As the saying goes, if the mountain won't come to Muhammad, Muhammad must go to the mountain. This is not to say that Chinese cities have better air than the countryside -- they definitely do not -- but they are more efficient in producing more energy for more people with relatively less air pollution. So, while the massive migration has increased the number of people exposed to dirtier city air, it has also decreased the overall air pollution in the region. Based on population and residential energy consumption records between 1980 and 2012, the researchers concluded that urbanization in China is responsible for a reduction of 19,000-47,000 air pollution-related premature deaths annually. This does not mean that the air in China today is cleaner than it was 30 years ago. "The cities are generally more polluted now than decades ago due to many other reasons such as industrialization," said Shu Tao, an environmental scientist also from Peking University, and a co-author of the paper. Shen emphasized that their study only focused on residential energy consumption, which doesn't include the huge portion of air pollution coming from China's rapidly growing commercial and industrial sector. While it may be possible to study pollution from the residential, commercial and industrial sectors separately, the economic relationship shared among the three sectors is perhaps less separable. In the last few decades, commercial and industrial developments in China have generated a huge amount of wealth for China's residents. The newly wealthy Chinese are trading in their bicycles for cars, which will increase the amount of air pollution. In 2002, there were roughly 13 motor vehicles -- including cars, buses, trucks and anything else that runs on four or more wheels -- for every 1,000 people in China. By 2016, that number had grown to 140. In the U.S., the number of vehicles per 1,000 people hovers around 800, so one can imagine China's number will continue to rise as long as its economy continues to grow. 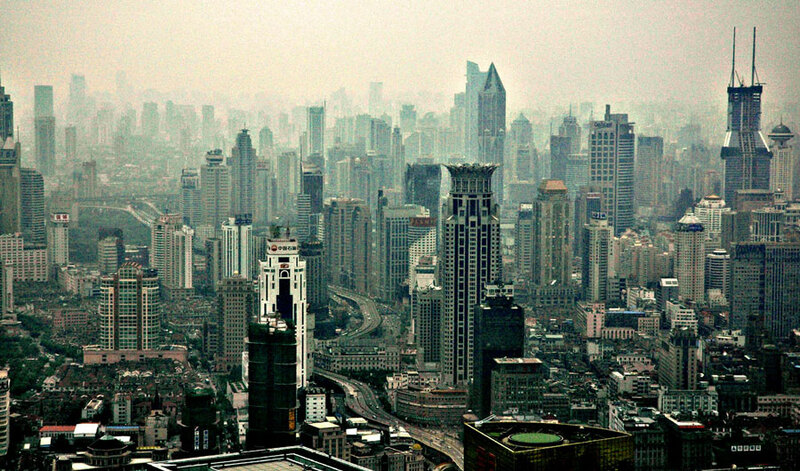 But even if China's citizens' wallets can afford more cars, their lungs might not be able to. "For now, cars [in China] still only have a small slice of the pie as far as their contribution to total pollution is concerned," said Mike Bergin, an environmental engineer from Duke University not involved in this study. According to him, the cleanup of China's air will require a multipronged approach, including switching rural people to cleaner fuel sources, curtailing industrial emissions, cleaning up or shutting down coal-fired power plants, and adopting alternative energy technologies. China appears to be taking its air quality problem seriously. In 2016, the Chinese government released its Five-Year Plan for the country's economic development over the next five years. The plan included specific pollution reduction goals, along with new regulations and implementations. But for now, China's air is still dirty -- if a little less so thanks to the throngs of people flocking into cities.